That the available budget and desired timeline support the approach. Quite often, larger estimates become the centerpiece at the negotiation table, kicking off a process of scope narrowing, prioritization, and concession. At 10up, we create two estimate documents for every project or large feature: a Qualitative and a Quantitative document. An estimate is an artifact. But it stands at the end of an estimation process. Here at 10up, the Qualitative Estimate document is where most of the process happens, wholly inside of Google Docs for easy collaboration; it’s rare for an estimate to be the work of a single contributor. The resulting document should be born of friendly arguments, constructive collaboration, and the benefits of Team 10up’s diverse skills and backgrounds. 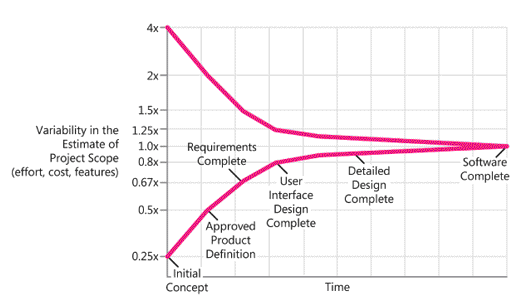 During the estimation process, it gives the team a space to flesh out the approach. Once complete, it provides internal stakeholders with proof of a workable approach. Our planned approach to the task including libraries, major components, and a high-level overview of how the code will work. The amount of detail is relative to the task. There’s little sense in writing a three-page explanation around a clickable site logo. A more important component or feature demands considerable detail to back up the high number of hours it is anticipated to take. The end goal of this process is to quickly narrow what Steve McConnell calls The Cone of Uncertainty. As a project progresses from raw ideas to a finished product, each step moves the team closer to an understanding of how much time the project will take. It’s preferable to work with a client early in a project to ask for more hours than when close to launch. By then, the client has already scheduled training, bought advertising, and/or spent the rest of the budget elsewhere. More details and up-front planning contribute to estimate certainty and help everyone manage expectations. Subtotals and totals are computed automatically, giving immediate feedback on the impact a task has on the whole project. This instant feedback loop breeds experimentation, estimating different approaches to see how the alternatives affect the grand total. This is important information to share with the project team so that different options can be presented to the client. A rule of thumb for QA/Code Reviews at 10up is to start with 20% of the sum of the other disciplines, rounded up to the next quarter-hour. So, a task needing four hours of front-end engineering, 12 hours of back-end engineering, and one hour of design would be calculated by 17.0 * .2 = 3.4 hours, rounded up to 3.5 hours. But that’s just a starting point; the estimator can raise or lower that number to reflect the complexity of the task. 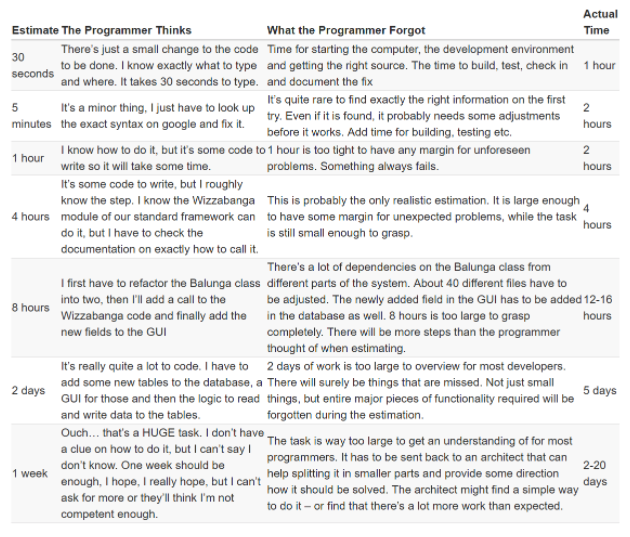 The Programmer Time Translation Table by Anders Abel tries to map programmers’ initial estimates to a more realistic amount of time, taking into account common issues that occur when working on a task. Note how important it is to account for time spent outside a text editor or IDE. 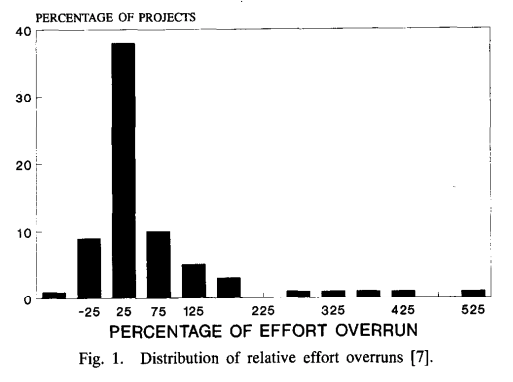 The last line of that chart is important: a huge task, one expected to take more than a couple days’ work, is too big to estimate with a lot of certainty. In order to narrow that Cone of Uncertainty, the task needs to be broken down into smaller line items. By developing estimates through qualitative and quantitative processes, we’re able to provide more confident project pricing for our clients, minimize surprise budget overruns, and avoid the temptation to over-promise.